Stewie is addicted to the British hot children’s show “Jolly Farm Review” based on Mother Maggie, a benevolent figure who looks after kids on a farm. Brian makes fun of Stewie for watching the show, but Stewie is determined to visit Jolly Farm in England because he thinks he belongs there. He stows away on a British Airways jet, which he assumes is headed for London. Brian tries to drag Stewie off the plane, but before he can, the plane takes off. When the plane lands, they discover that they are in Saudi Arabia are stranded in the middle of a desert with no passports or resources to get out. As luck would have it, Brian and Stewie encounter a Comfort Inn in the middle of nowhere and manage to steal a hot-air balloon to fly home, but the contraption falls apart over Italy, just as the Pope is about to address the masses. Brian wants to head home, but Stewie insists on finding the Jolly Farm in England. 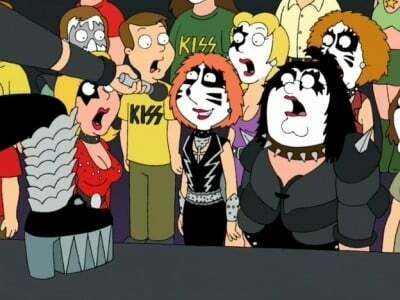 When they finally get to England, Stewie runs onto the set of the show. His fantasy is crushed when he encounters only a set full of props and disgruntled people, including Mother Maggie. Meanwhile, Lois and Peter travel to KISS-stock, where Lois embarrasses herself because she doesn’t know the lyrics to a KISS song. 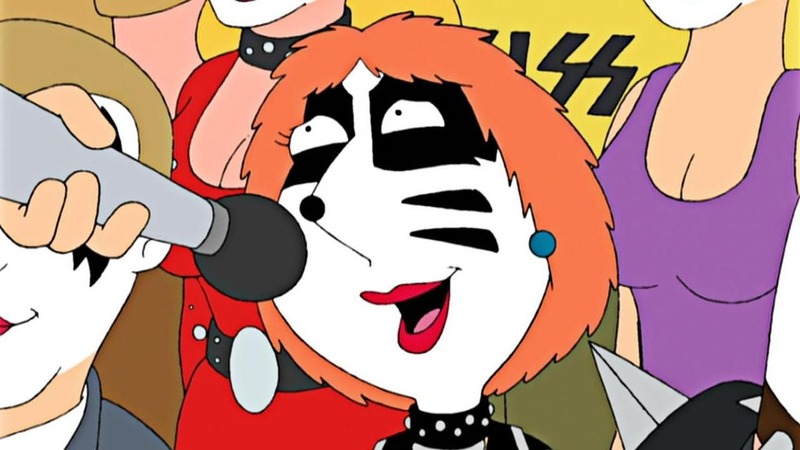 She redeems herself though when it’s revealed that she once hooked up with band leader Gene Simmons!